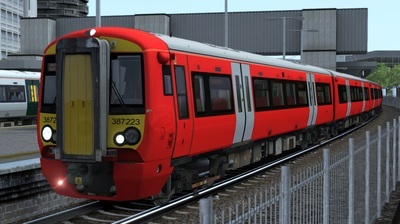 The Class 387 EMU is the final version of the highly popular 'Electrostar' series from Bombardier Transportation. 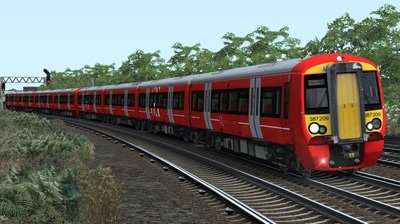 Currently, there are expected to be 107 units once all are built. 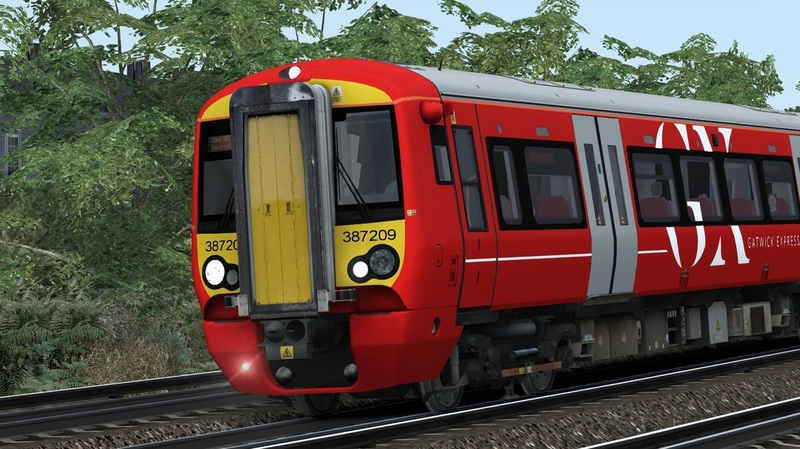 Unlike the other members of the Electrostar family, the Class 387 has a maximum speed of over 100mph, as it clocks in at 110mph, which was beneficial on the Midland Mainline, creating more paths. Later in the decade, Class 700 'Desiro City' units will be introduced on the Thameslink line, which will cause a large cascade involving many units such as the Class 387 to be cascaded to many other lines in and around Greater London. 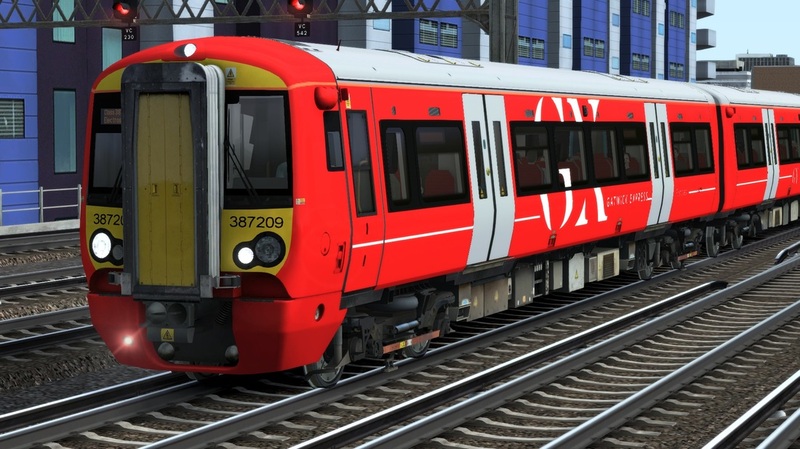 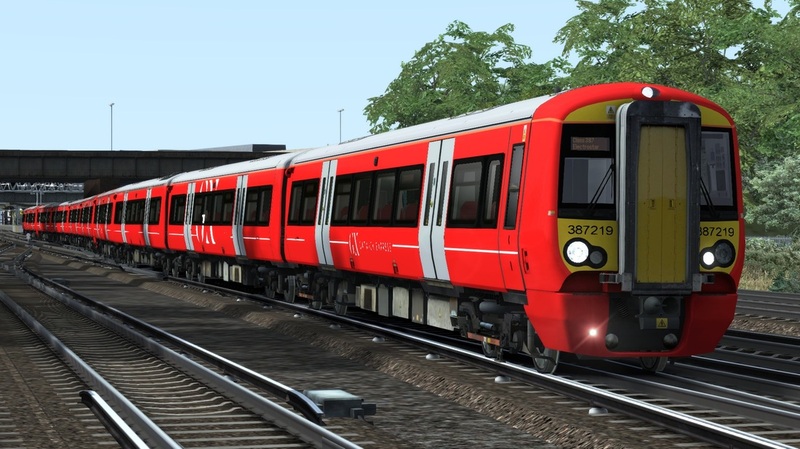 The download includes the Class 387/2 EMU in Gatwick Express livery, with branded and unbranded variants, along with nine quick-drive consists, a custom tracklight, a modified physics file to allow for 110mph running, and over sixty custom destinations. 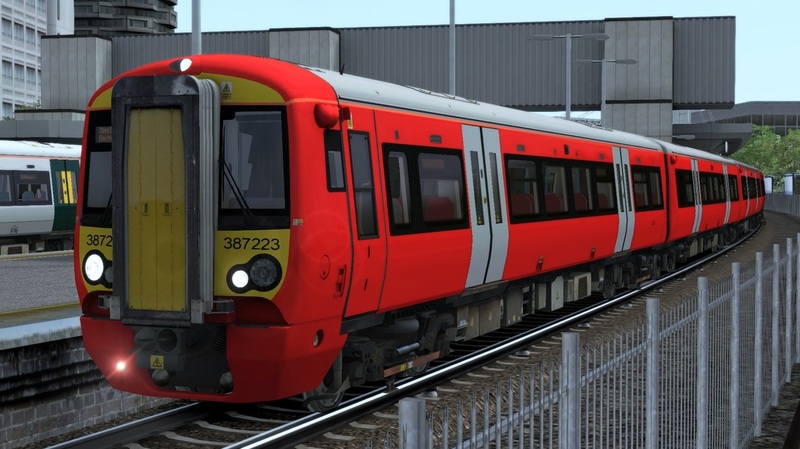 You need the South London Network from Steam to use this reskin.